In my last post I discussed the importance of parents and teachers playing a proactive role in maintaining and teaching their kids and students about mental health. In this post, I am sharing a list of resources on the topic of mental health, that I have found useful when working with my students or my own children. I realize that the strategies I’m suggesting are not new or revolutionary. My goal rather, is to share tried and tested resources to help parents and educators implement these ideas and strategies. This list will focus on resources geared towards kids (with a follow up post focussing more on resources for parents and educators). I will continue to add to this list as I come across other helpful resources, so check back every now and then (under Recommended Resources in the menu bar). Included, are only resources I have actually tried myself. We know that physical activity is an important part of maintaining mental health for all of our kids and students (and us). It increases the brain’s dopamine, norepinephrine and serotonin levels. This improves focus and attention in much the same way as Ritalin and other ADHD medications. Physical activity also releases endorphins, the “feel-good” chemicals, and can help fight depression and anxiety. And cross-lateral, repetitive, rhythmic exercise such as dancing, aerobics and yoga, are recommended for those suffering from PTSD, or those who have experienced trauma. All this to say, you can’t go wrong with exercise, it benefits everyone. GoNoodle is a free and fun way to get kids moving. It is available in App format for use on a tablet and can also be accessed on the web (the web version actually offers more options). It is an interactive way to get kids moving and offers different intensities and durations of exercise. It can be used at home with your kids or in the classroom with a large group. Check out a couple of my daughter’s favourites, Raise the Roof, a high intensity option, and Melting a more mindful exercise! Cosmickids.com offers YouTube videos that teach kids yoga and mindfulness through stories. Check out Squish the Fish. Access to the videos is free. The website also offers ideas and advice about kids yoga, lesson plans (not free), and training. Also, check out Zen Den (YouTube) which is also by Cosmic Kids and teaches mindfulness. This is as easy as it sounds! Put on some good music and dance. Dance works as a great distraction, is fun (especially when adults join in) and gets kids moving. When we are stressed, anxious, angry and even overexcited, we tend to take more shallow breaths. Deep breathing, for adults and children alike, helps the body return to a calm state. The beauty with deep breathing is that it is a portable strategy that doesn’t cost money and can be done anytime, anywhere. It is not a natural skill, but one, that especially for young people, needs lots of practice. I would say that this has been my most useful and most used strategy in calming my own anxiety. It’s amazing how taking a few deep breaths can really be soothing and help you to gain perspective. Have your child or students place a stuffed animal on their belly while resting on their backs. Encourage them to breathe in through their nose, filling their belly with air (rather than their chest). They will know they are doing this properly, if the stuffy is going up and down. Five finger breathing is a great way to focus kids on their breath. 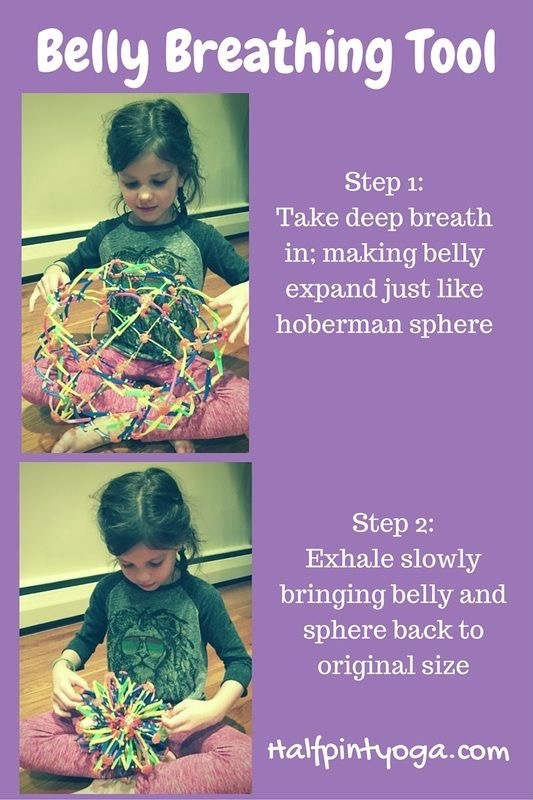 A hoberman sphere is also a great tool to help kids slow down their breathing. Wilma Jean the Worry Machine, and other books by Julia Cook. Accompanying workbooks are also available for some of her books. The What to do When… series by Dawn Huebner (What to do When Your Temper Flares, What to do When you Worry Too Much, What to When my Brain Gets Stuck and others). When I Feel Afraid, by Cheri Meiners. A great guide for kids on how to deal with fear. Cool Down and Work Through Anger, also by Cheri Meiners. When My Worries Get Too Big: A Relaxation Book for Children Who Live With Anxiety, by Kari Dunn Buron. This book is a great book for teachers using the 5-point scale (same author). It allows kids to participate in developing their own calming strategies. 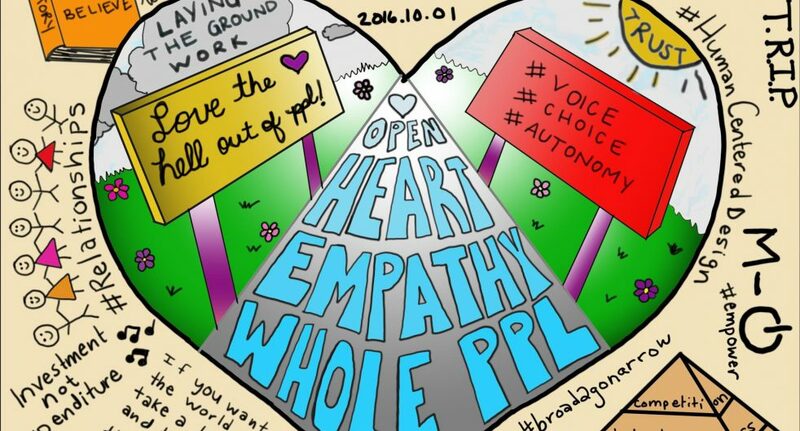 Previous Post Mental Health in Youth – What is our role?